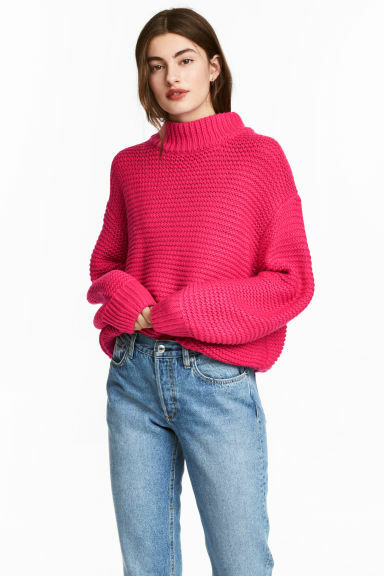 Honestly, you may not think that you need a pink jumper but you absolutely do. I promise. 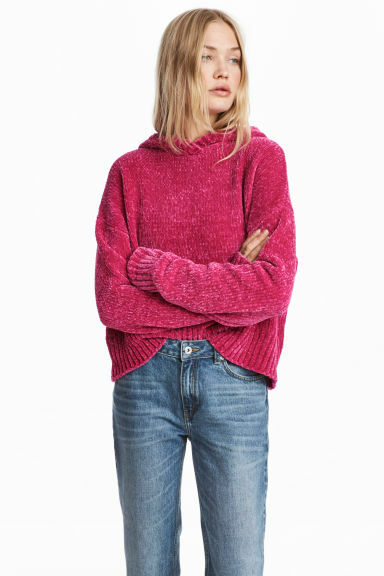 Even if you don't like pink, you really do need a pink jumper. This is even more so if you don't like sparkles, Christmas jumpers or Fair Isle ones - all of which are in abundance at this time of year. 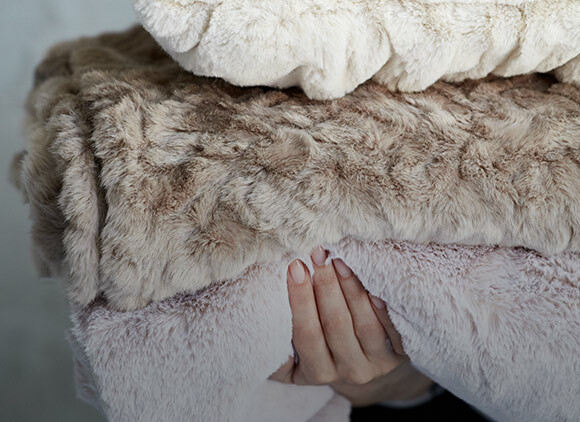 They go so well with denim and all of those navy, black and grey pieces that we wear at this time of year. The Oasis cable knit (£40) seemed particularly popular. If wearing it with a midi length embellished skirt of the party variety, just tuck some of the front of the jumper into the waistband in a nonchalant kind of way, so as to keep the proportions right. Equally this would look great with coated skinnies and wellies for those winter walks that we all avoid like the plague look forward to on a cold wintery day. This Oasis pink turtleneck (£30) offers something slightly more lightweight for those layering occasions, or if a chunky style is just too heavy for what you're wearing on the bottom half. The scalloped neckline and hem make for a really pretty detail. For something a little sport luxe, this Burford cashmere hoodie from Kitted in Cashmere (£139) is just lovely. Again it can be worn with a party style skirt for a high/low look, or leather leggings, or luxe track pants. 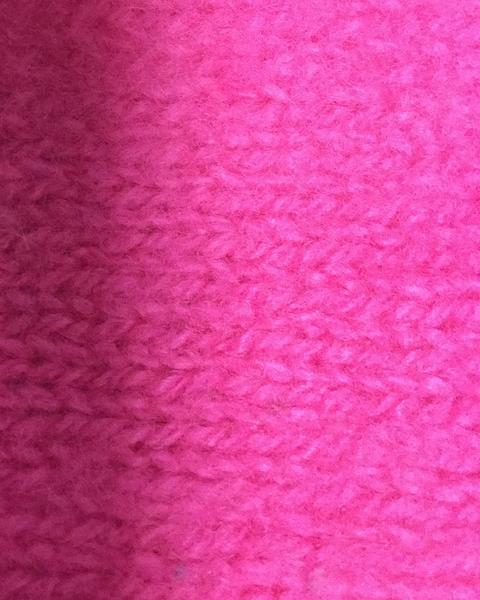 This jumper also comes in this amazing shade of pink, which is really "Wow" in the flesh. This Burfood hoodie is a "one size fits all" jumper too - making it the perfect Christmas present. 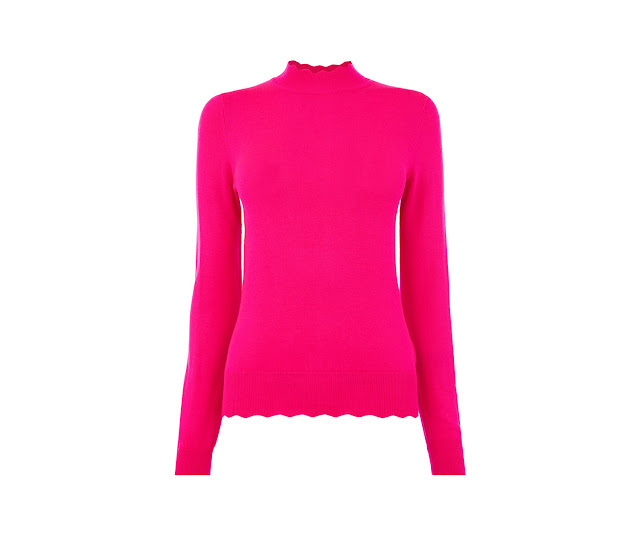 If a slightly more subtle shade of pink is more of your thing, then there's the HUSH Helen jumper (£69) which isn't quite as full on as some of the more neon ones that I've suggested above. This is a great, easy style to wear too. 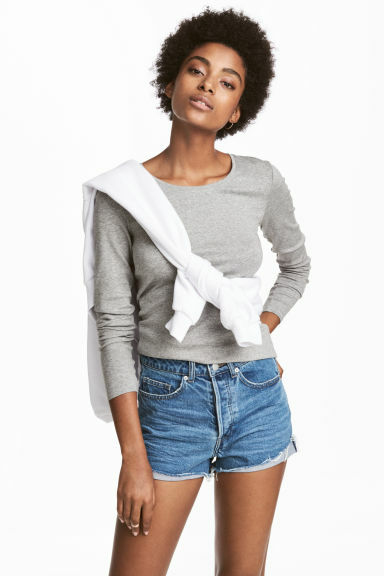 Layer something underneath it, or over it, tuck it in, leave it out, lengthen it with a white shirt peeping out from the bottom, add a scarf if you prefer a higher neckline, jazz it up with sparkly jewellery - it's just so versatile. And I love this Chunky knit jumper H&M (£19.99). It's very insta worthy in a "wearing it with Mom type jeans and sky scraper heels" kind of way. Over sized, overly long sleeves with a great high neckline, it's fabulous. 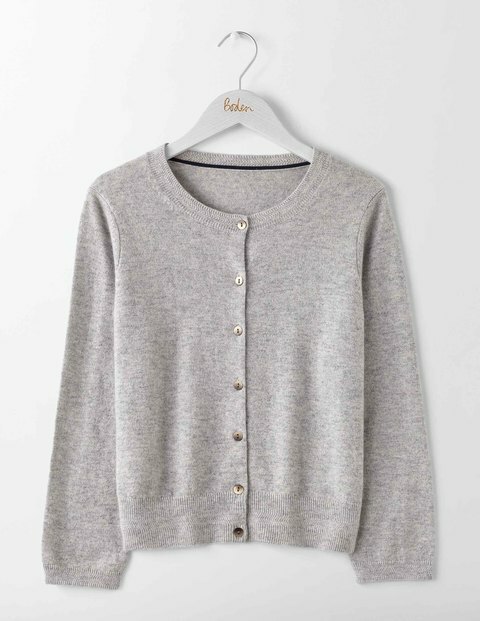 For an investment piece in something luxuriously soft, there's the Mimi cashmere jumper from White Stuff (£89.95) which was also drawn to my attention. It's such a vibrant shade of pink - love it! And then I just had to go and do it didn't I? I had to go and lower the tone by including a jumper that was not only pink but also sparkly and with a Christmas theme. As you can tell, this was all my own work! It's the Topshop Christmas sequin penguin jumper (£36) and I fear that it might just have my name all over it. Now do you believe me? 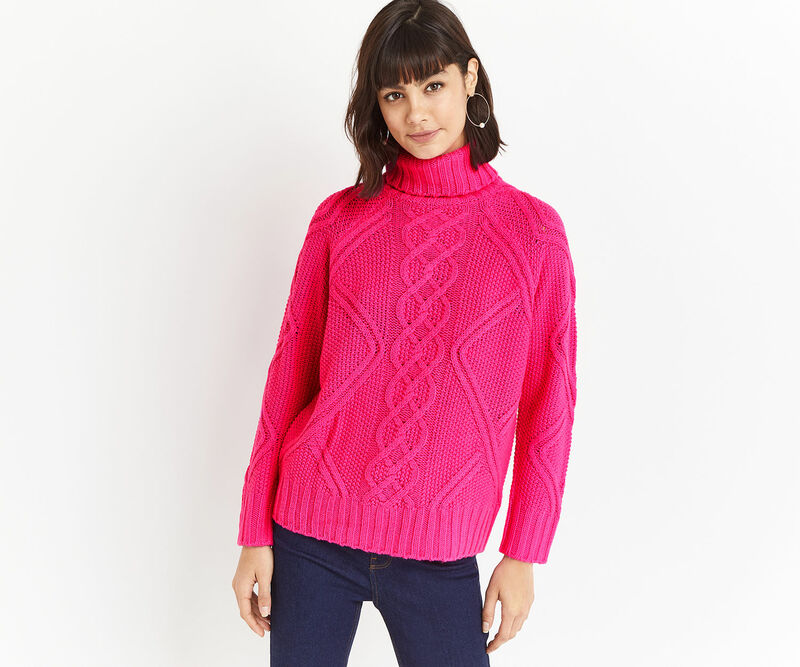 You see, you totally need a pink jumper....don't you?! Last week I was lucky enough to be holding an event in the LK Bennett store in Birmingham and so, for one night only, I got to wear the most beautiful little black dress. There are so many gorgeous dresses in LK Bennett at the moment that they really deserve a post of their own. From fabulous dresses in the collaboration with Preen, to floral midi dresses, velvet knee length dresses and leopard print dresses, LK Bennett is definitely very strong in its "dress game" this season. But for now I'm just going to tell you why this Salena dress is such a gem. First, it has a great length to it, so there's no issue as to whether it feels too short or not. Secondly, the volume in the skirt is really flattering for pear shaped figures as it just skims so beautifully. The lace detailing around the shoulders and neckline does a great job of drawing the eye upwards - a fantastic styling trick if ever there was one. And one of the best things is that the lace detailing around the waist is quite high, meaning that it falls on a narrow part of the torso plus it gives the illusion of legs going on forever. 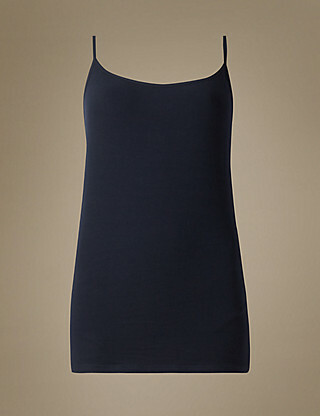 This is just one of those dresses that feels really elegant and glamourous when you're wearing it. 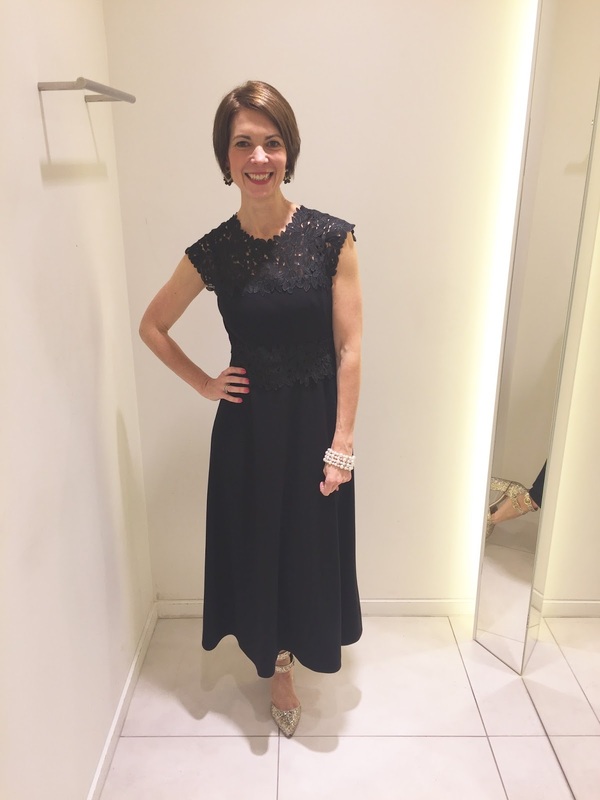 If you do happen to be on the hunt for a dress for the festive season, or just because you fancy a new frock, I would definitely suggest heading over to LK Bennett for a look. Traditionally I think that it's fair to say that they had more of a formal/corporate/fitted Kate Middleton (in a good way) look about them but they are definitely rocking some cooler frocks this winter. It's the sequinned top post! OK - confession time, this is clearly an old photo - but I still have the top! If there's one top that screams Christmas it's my black - slightly naked of sequins - sequinned top from H&M, which must be going into its third or so year now. True, it sheds sequins wherever I go but given that I love sequins - (not glitter....especially not when a child is shaking a pot of it. I still haven't got over our eldest spilling a pot of red glitter all over the house when she was about 4. I was still finding it in July) - then I don't mind at all. Here's my round up of my favourite sequinned tops. 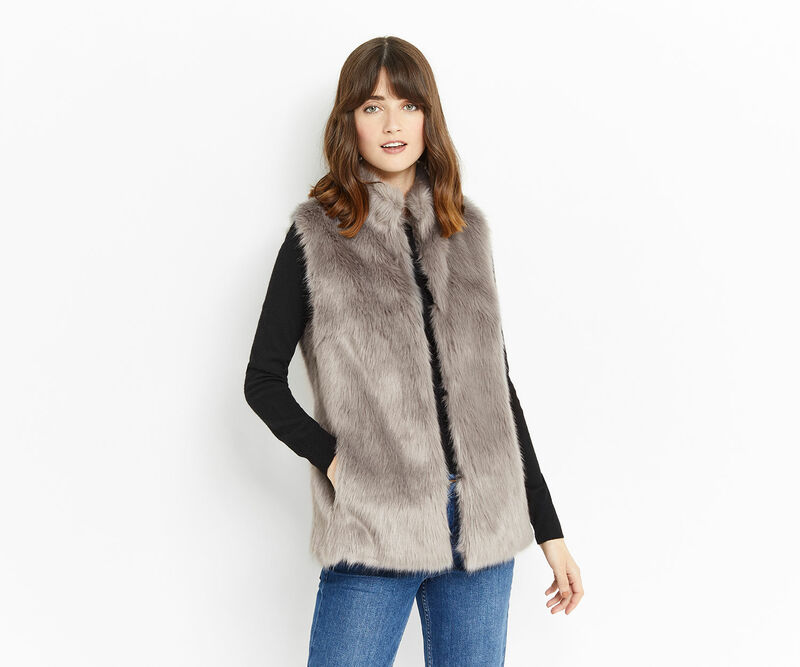 Just add jeans, a pleated skirt, dungarees, wide leg trousers, coated skinnies, culottes - basically anything will go with one of these - and in any setting. Which makes it a really easy top to wear - despite it being all things shiny and not seeming, at first glance, to lend itself to anything other than fancy pants occasions. The trick to buying any sequinned top is to feel it on the inside before you buy it. Exfoliation is, as well all know, a good thing but not when you feel it being done all evening by something that resembles a brillo pad. Check for a lovely lining which will avoid that brillo pad feel. This same gorgeous top also comes in gold (below). I have given it a good once over and for me, this top is a real gem. 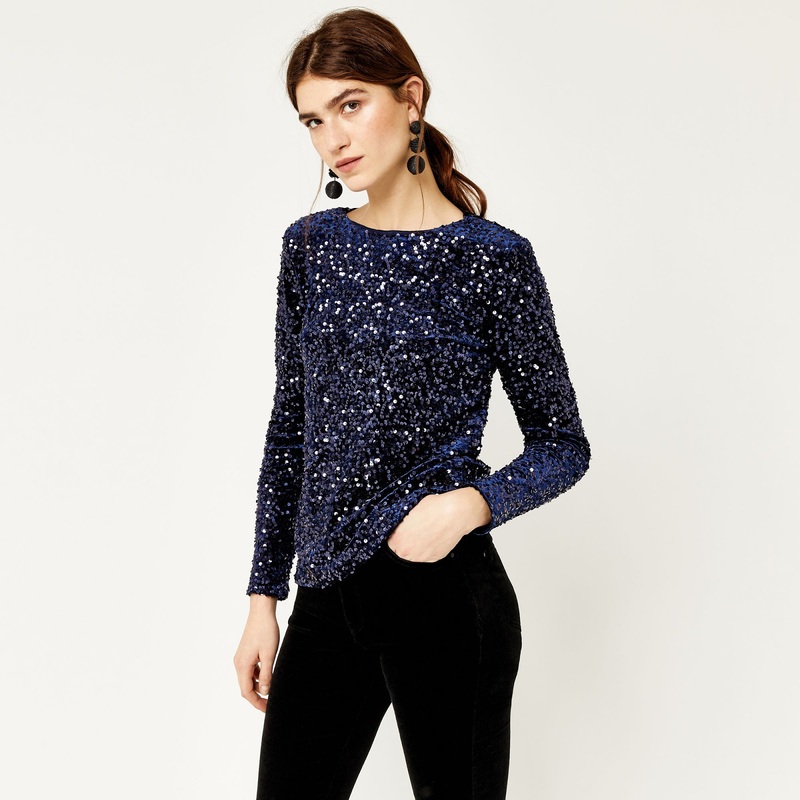 Now I love the idea of this asymmetric sequin top from Mango (£35) for a black tie event with some wide legged trousers and maybe even, dare I say it, with some trainers. Or if that's a step too far then some flat velvet shoes, if (more) sparkles aren't your thing. Then maybe wear it with jeans or with a skirt on Christmas day. Now there are sequins and then there are SEQUINS and this turtleneck from Other Stories (£49) definitely falls into the latter category. I love this top. It's just divine! Please someone buy it and send me a picture of you wearing it. 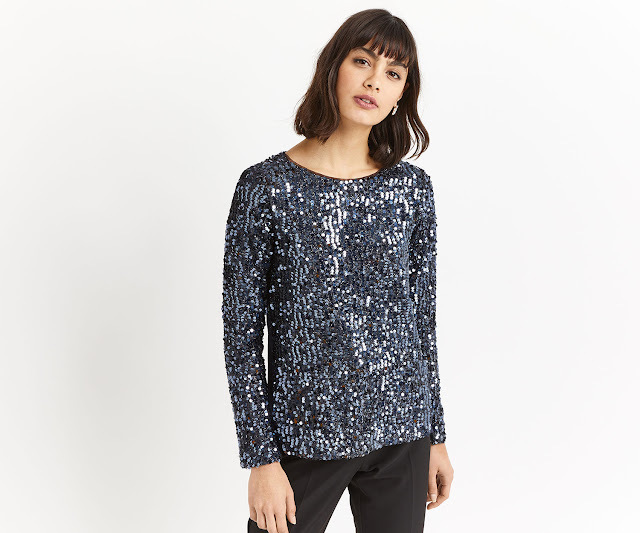 This Oasis sequin tinsel sweat (£38) is also a fabulous option. I first saw it when I went to visit the refurbished House of Fraser in Sutton Coldfield. It's slightly less fitted than some of the other options and maybe slightly* less bling than some of my other choices. I cannot convey enough my love for a sequinned top, shining like a star in an otherwise dark and wintery wardrobe. It always holds such promise of a fab night out! * this is a relative term because all sequinned tops, by definition, are bling. You know me, I'm not really a designer girl at heart. 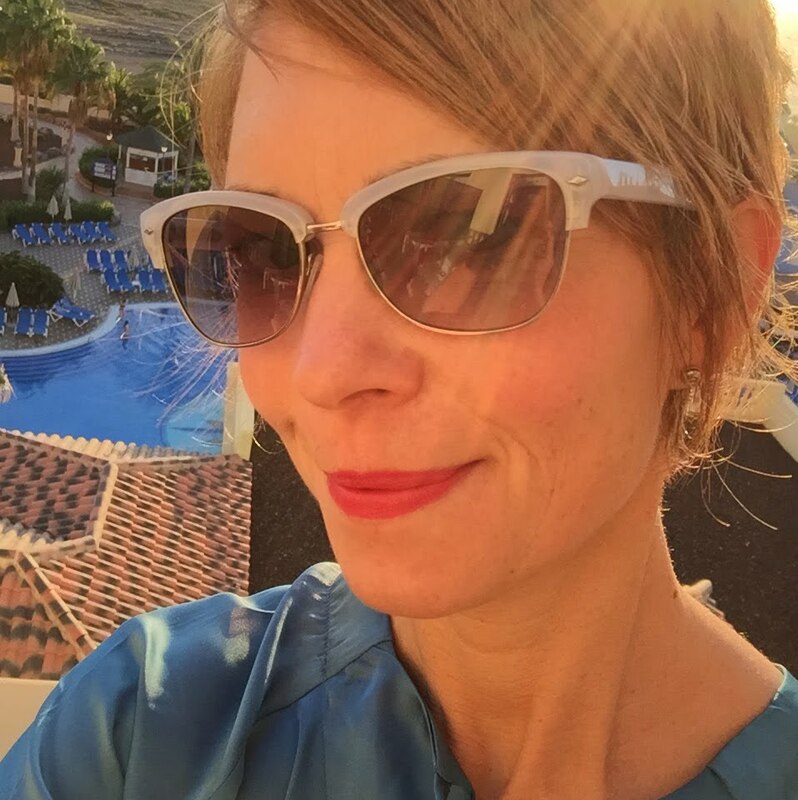 True, I love a good handbag and I can't deny that I love comfort and quality but I also like mixing those pieces with bits and bobs that make my heart skip a beat - and quite often I find those brighter, blingier, neon, pieces in places such as Topshop and H&M. 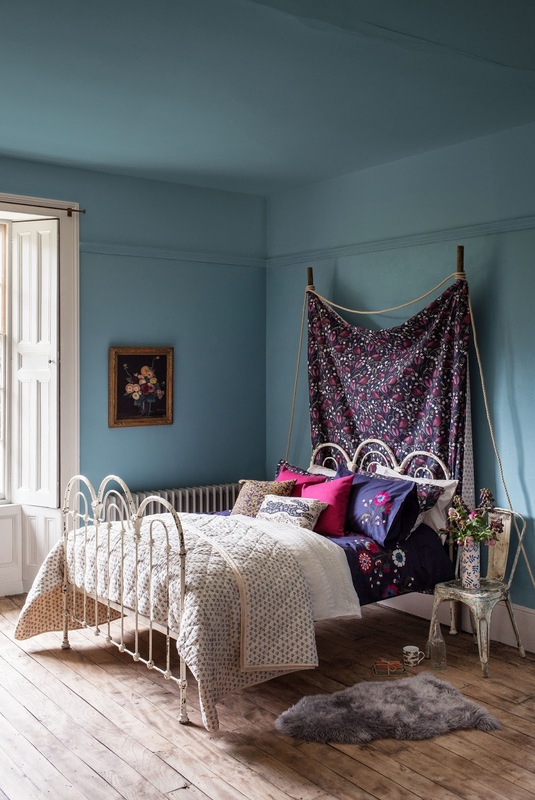 But I've always loved Me & Em and when it first started, I remember lying in the bath reading the catalogue and coveting the pieces. So when an opportunity presented itself in my day to head to Me & Em and try on a whole range of pieces that I've admired from afar for years - well it would be have been crazy not to take advantage of it. I must confess, it was a dangerous expedition and I came away thinking that life would be so much easier if I could just buy everything from there. The quality, the cut and the fit are fabulous. Hello grinning idiot! I completely fell in love with this skirt and this jumper which I think I could wear pretty much all winter long. I've included some clearer images of both pieces, below. I love this skirt styled with these biker boots. It just makes it a little less girlie than if styled with heels - and a whole lot more edgy but also accessible on an every day basis. It scoops down slightly at the back too, also making it just a little less "twee". In the photo above, I'm wearing a size 8 so I'd say it comes pretty true to size. And this red cashmere jumper is just beautiful. I've been looking for a red jumper for a while now and this was the perfect shade of cherry red. It didn't come home with me - but I'm still plotting! I'm wearing the size 6, which was great as I didn't want anything too oversized. Sometimes over sized is good but only if I'm balancing it with a fitted piece elsewhere - and generally heels of some description too. Otherwise I can look like I'm wearing someone else's clothes. Not that I'm averse to wearing other people's clothes - my friends have some lovely pieces. I have a knitted dress that I dig out every winter, particularly when it gets really cold and I love the versatility of it. 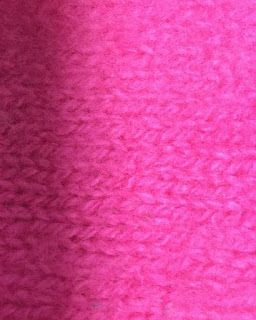 This dress is 86% merino wool and 14% elastane and it's not in the least bit itchy, which is always the danger with wool dresses. Nor is it too thick for those who are concerned about over heating in wool. 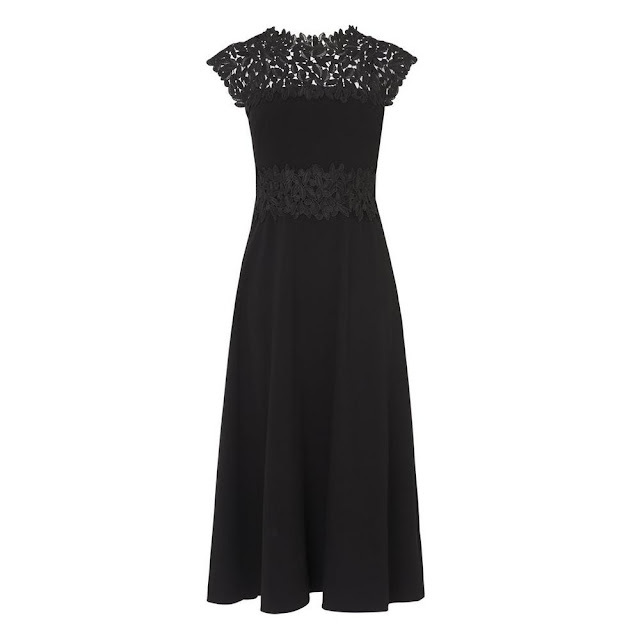 This dress would work well for a smarter event with statement jewellery or with a leather and biker boots, or with a blazer for work. And the detachable scarf enables several different looks to be created, which is always handy in a "no I'm not really wearing the same dress again" kind of way. And with the scarf, below. Now I know that there's no denying that this dress is fitted but it didn't cling, or fall, in such a way that I felt that I had to breathe in when wearing it - which is always a relief. I'm wearing my usual size 8 and it didn't feel too tight. Oh and the trousers are just amazing. 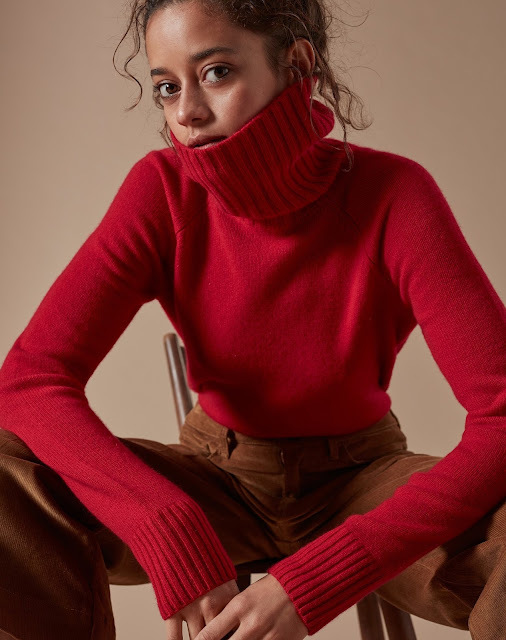 I've been looking for some wide leg trousers for several winters now but I've found either that they're really baggy around the hips and bottom as well as in the leg - thus giving the impression of a clown, or they look more like a boot cut than a wide leg. These though are fitted around the hips and waist, slightly slouchy and with plenty of width in the leg. I'm wearing the jacket here, together with the trousers. The jacket is slightly too long for my frame /with this style trouser but I haven't worn a suit in years so it was nice to try one on. And I think that the combo of the sparkly top and pinstriped trousers makes them more wearable for the everyday. Well, provided that you see sequins as "the everyday". Doesn't everyone?! These trousers are obviously way too long for me but I loved them, so I've bought them and they have been shortened so that I can wear them with flats. I'm just waiting for the right moment to get them out and about. Again, they came up true to size, which is a real bonus given how much the sizes can vary both across, and within the same, brands. These trousers are the same style as the ones above but they're called the "Flannel wide leg trouser with belt" Me & Em (£169). I'm sooo tempted by these too. They are so comfortable, a fab colour and just a refreshing change from skinnies. I would say that these are my favourite picks but honestly, everything is so beautifully designed that I have many favourite picks from the collection. If you're ever in the area, I would definitely recommend going into a store for a try on. Everything that they say in the brochure is so true. Help! 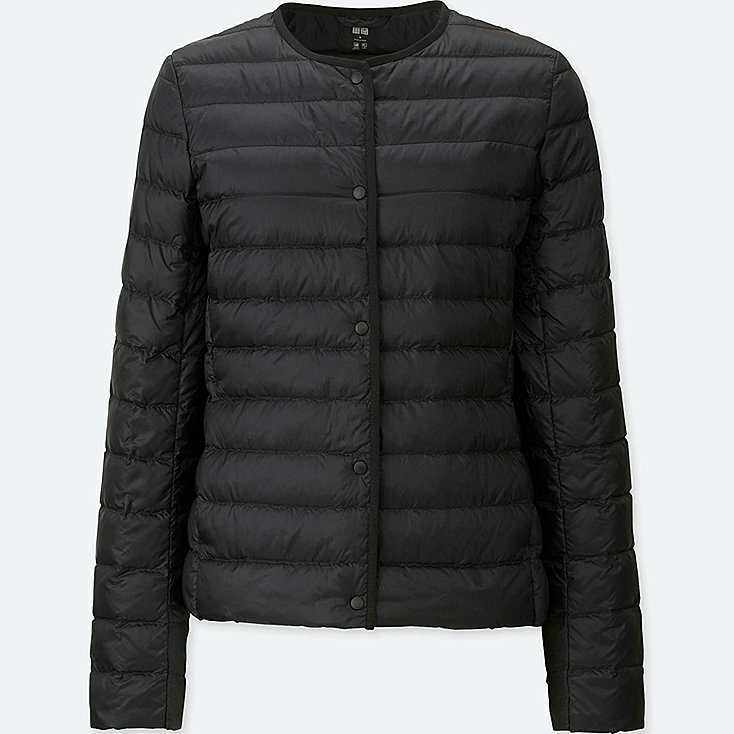 Whenever I go into Whistles I'm strangely drawn to this Iva Casual Colourblock Puffa (£149). 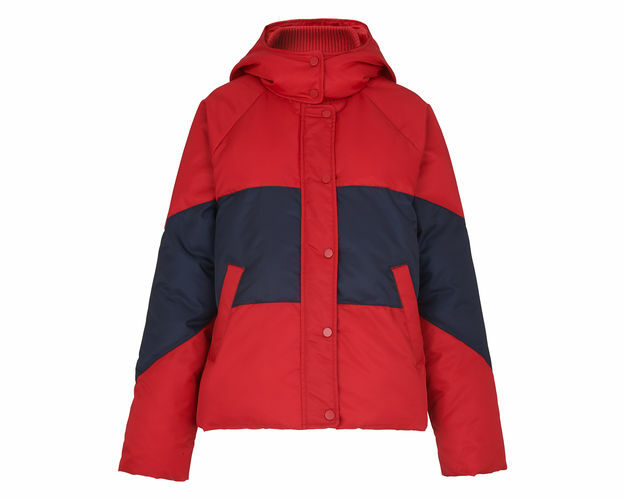 In reality, it's called the "Colorblock" Puffa but I can't bring myself to type the word "Color". Maybe I'm showing my age but it's just not right - and Whistles, if you're listening, that's not how we spell "colour". I think that the reason that I like this jacket is for reasons of nostalgia. It reminds me of the Kappa cagoules that all the lads at school wore in the 1980s. Do you remember those? Together with the Sergio Tacchini tops that they wore? Although having said that, most of the boys at my school were idiots.I also find it quite funny that 80s fashion is having a revival. But it's not so much the lace fingerless gloves, the fluoro leg warmers, or the frosted lipstick "Bananarama/Madonna/Kylie style" that are being worn. Rather, the girls are adopting the clothes that the boys wore in the 80s, which to be honest is quite refreshing. Or look! You can go to Topshop and get a Fila Sweatshirt (£55). 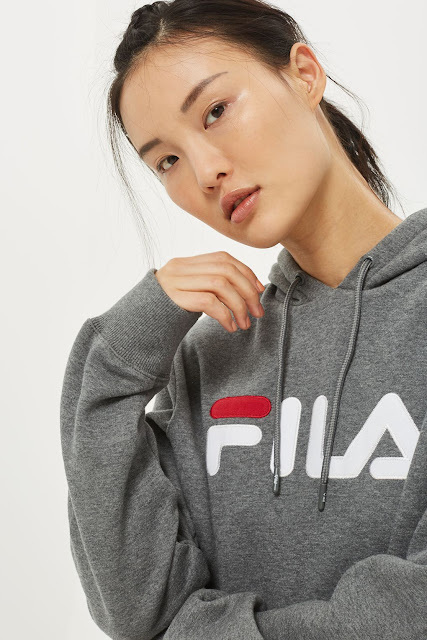 Does anyone remember Fila? I have a Fila watch. A boyfriend bought it for me and he turned out to be a right arse. But the watch was nice. Although to be honest I haven't worn it for years - literally tens of years. Maybe I should dig it out again. 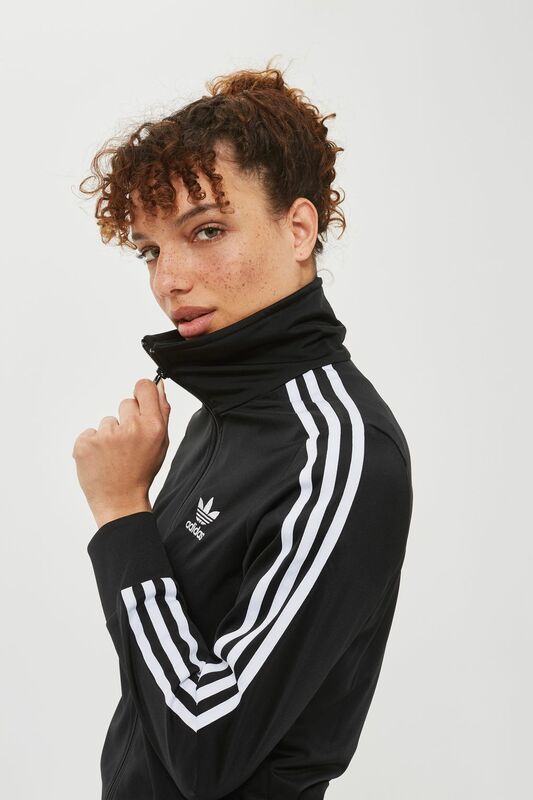 Or, heavens above, look at this track top by Adidas from Topshop (£52). I'm not kidding, my husband has one of these that he bought recently. Really recently I hate to admit. I try to ban him from wearing it but I thought that he might "just" get away with it at the 9 year olds gym competition today. I may have to eat my words. And borrow it. Obviously I won't be telling him that he has something in his wardrobe that may be considered vaguely cool. To be honest, I'm not quite sure that I'm ready for all of this. Coats that the boys at school wore in the 80s having a moment? And (even more shocking) my husband having something vaguely trendy in his wardrobe? Girls wearing Kappa tracksuit bottoms in nightclubs, where before they wouldn't have been seen in anything other than the shortest and tightest of dresses with the highest of heels (I've witnessed it!) It's more than my brain can take on a Sunday night. 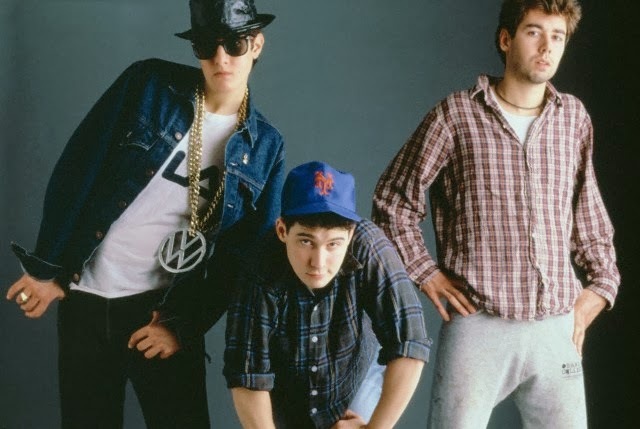 Next everyone will be pinching VW emblems from cars and wearing them Beastie Boy style. Yesterday I was lucky enough to go to Stylist Live at Olympia in London. I'd not been before but this year, I decided, was my year and having kindly being offered a ticket by Air & Grace I felt that my ducks were being well and truly lined up for me. 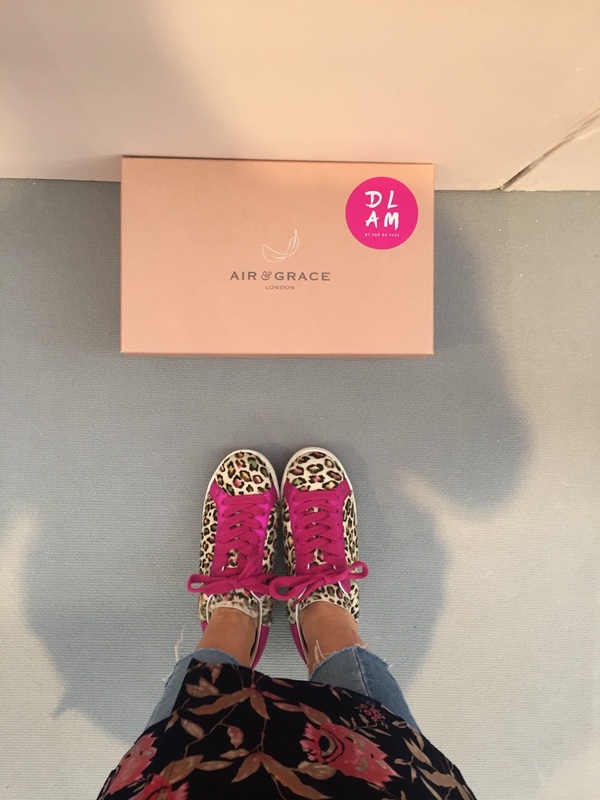 Yesterday also coincided with the launch of the collaboration between Air and Grace and Zoe de Pass of Dress Like a Mum - and these are the two styles that the Queen of shoes and the Queen of cool designed together. 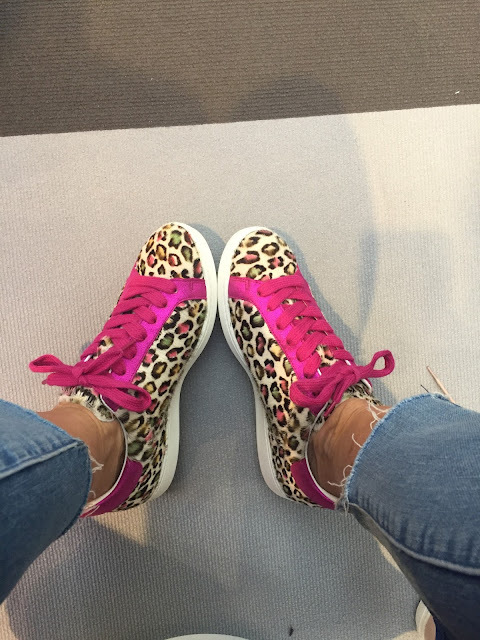 First of all there are the rainbow leopard print (£169), along with the fuchsia leather (£149). Both styles are available for pre-order, with the rainbow leopard print being ready for dispatch on November 27th and the fuchsia leather on 13th November. And the thing with these is that once they're gone, they're gone. 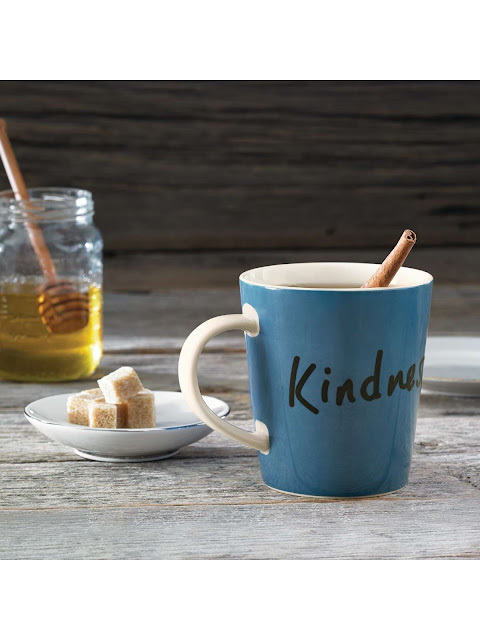 So if you're even vaguely tempted - and I'm not trying to whip everyone up into a frenzy here - get your order in quick!